With the development of the economy and the improvement of people's living standards, more and more pets have entered families, which is corresponding to the rapid development of the pet food industry. 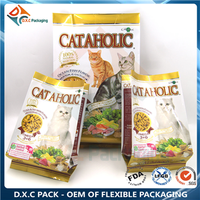 However, there are seven disadvantages of pet food packaging material and we will provide you with solutions to it. First of all, pet food packaging material is unqualified. Compared with the general food industry, the pet food industry also has corresponding requirements for product safety and quality. Like other foods, pet foods have a shelf life of a certain period of time. During the shelf life, pet foods must be protected from deterioration or loss of nutrients. The quality of packaging has an important impact on the shelf life of pet food. The quality control of packaging materials and packaging is a major issue that pet food manufacturers must face, and also is the focus of pet food safety. 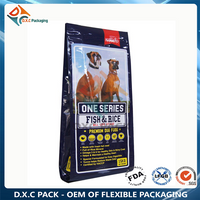 Therefore, the manufacturers must comply with the regulations and use qualified materials to make satisfactory pet food packaging pouches. Secondly, the barrier properties of pet food packaging materials are not good. It is well known that the breeding of microorganisms requires a certain environment, the most important of which are ambient temperature, oxygen and moisture. Oxygen is the main external cause of rancidity. The less oxygen content, the less likely rancidity, and the water can provide an active environment for microorganisms, accelerate the hydrolysis of fat, and shorten the shelf life of food. 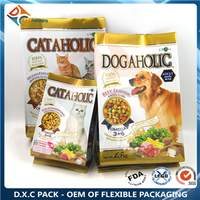 During shelf life, the oxygen and moisture content of the package is more dependent on the integrity and barrier properties of the pet food package. The barrier properties of packaging materials are critical to the shelf life of pet food. 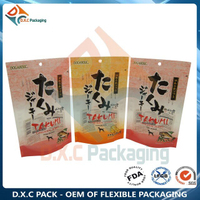 In order to cope with the disadvantage, Manufacturers should pay attention to the selection of composite plastic flexible packaging, aluminum-plastic composite materials or tinplate materials with high barrier properties when selecting packaging materials. Thirdly, the integrity of pet food packaging material is not good. As mentioned above, the integrity of pet food packaging materials is significant to the storage of pet food. If it is enough good, the pet food packaging during the production, transportation or storage process is prevented from being damaged, and the shelf life and product quality of the pet food are guaranteed. 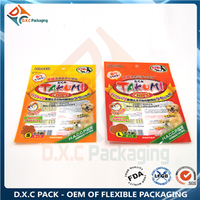 We can test the overall sealing of the pet food package to solve this shortcoming. Fourthly, heat seal strength is not enough. The heat seal strength represents the strength of the package closure. If the heat seal strength is too low, the seal cracking and the pet food are easily scattered during the handling process, and the pet food is in contact with oxygen and moisture in the air, and the food is easily mildewed. 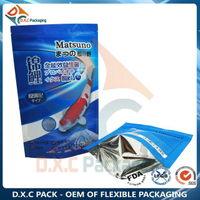 In addition, the puncture force and tearing force of the pet food packaging pouches are unqualified. 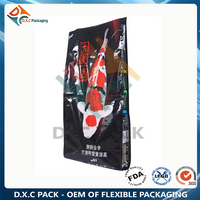 Provided that the puncture force and tearing force of the pet food packaging pouches is too low, the seal cracking and the pet food are easily scattered during the handling process, pet food will deteriorate. Therefore, we must rigorously test its puncture and tearing force. What’s more, pet food packaging materials do not match the pet food material. The pet food can be divided into three categories according to the water content of the pet food: dry pet food, wet pet food and semi-dry pet food. Dry pet foods generally contain balanced nutrients, which are complete foods and need simple storage technology. Wet pet foods usually contain more than 65 percent of water and are packaged in canned or sterilized pet food packaging pouches. Semi-dry pet food can be packed in ordinary pet food packaging materials. 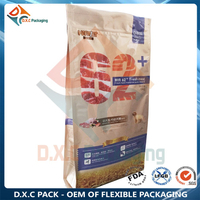 Last but not least, pet food packaging material is not friendly to environment. Plastic packaging materials are not easily degraded, and incineration produces toxic gases. Moreover, plastic packaging materials belong to the shortest period of use in plastic products, generally 1 month to 3 months, the longest one year. After that, most of them become urban solid waste into the garbage disposal system, and some are randomly discarded, resulting in "white pollution". Plastic packaging materials account for the largest proportion of waste, and the pollution caused by the environment is also the most serious of all kinds of packaging materials. The current treatment scheme combines recycling and development of degradable plastics. To sum up, pet food is a food specially provided for pets and small animals, and is a high-grade animal food between human food and traditional livestock and poultry feed. It has the advantages of comprehensive nutrition, high digestion and absorption rate, scientific formula, quality standards, convenient feeding and prevention, and prevention of certain diseases. It is a nutrient that provides the most basic life support, growth and health for pets. The quality of pet food packaging materials will directly affect the safety of pet food. Therefore, it is crucial that we should focus on these disadvantages and cope with them.